Budapest is becoming the new it city. And I can understand why, because it’s a trendy city where you can find everything that you need! 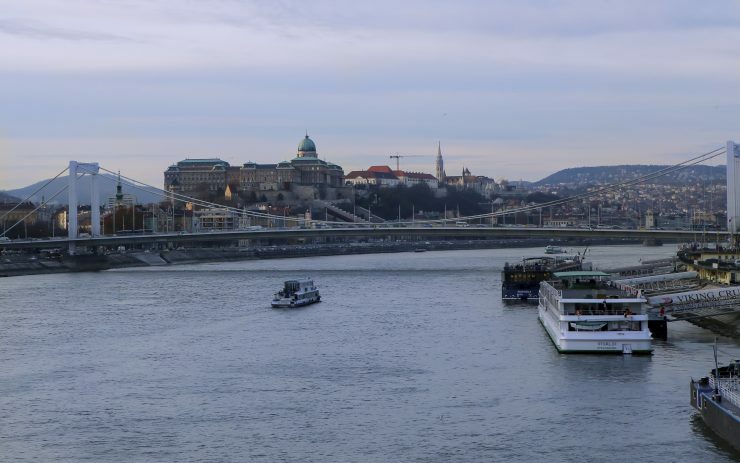 But the best part… a city trip to Budapest is also budget proof! Yaay! But of course are there a few things that you need to know about this city. And you can find all these tips in this article, so that your trip to Budapest will be awesome! Keep in mind that in Hungary you have to pay with the Hungarian Forint. You can order this by your bank. Or when you are too late or just need more you can always get your cash at the airport or at an official bank. If you get it at an official bank it’s cheaper that at the airport. But you need to get your money at an official bank, because outside in Budapest there are lots of ATMs. But don’t use these, it’s for your own safety! Ok, the Hungarian kitchen is namely meat dishes with seasonal vegetables. If you eat meat then you must try this for sure, my boyfriend really loved the goulash. But if you are like me, a vegetarian then they are enough other options. Like what you can see above. This is a fried dough you can compare it with the dough from deep fried doughnut balls but than with sour cream and extra cheese on top. But you can also choose for other toppings like different vegetables or instead from sour cream, tomato sauce. Another thing that I saw a lot on the streets where chimney cakes. This is a sweet and special kind of cake, for sure worth trying out! When you go to a bathhouse you mostly got to choose between a locker or a cabin. But what is such a cabin now? A cabin is a private booth where you can change your clothing. And a locker is a communal changing area. A cabin is a bit more expensive, but here you can safely stash your stuff. When you choose a cabin you get a wristband and with this you easy can open and close your cabin. At the end of my trip I discovered this card. And this card is so handy! Because with the Budapest card you can use the public transport for free and you get discount or a free visited to different museums. And this card has another cool think… You namely get discount or a free visited to some bathhouses, awesome isn’t it?! And above you can see the prices and they are for sure ok! It requires a bit planning to get everything out of this card! But it’s perfect to discover Budapest! Watch out with the cabs! My last tip is that you have to watch out witch cab you get! Because you got official and independent drivers. They both drive in a yellow cab, but the official once got the logo from there company on there cab. So be safe and only use a cab from an official company. I visited Budapest once ad I fell in love with it. I hope coming back soon! Oh, zalig! Ik hoop dat je een fijne tijd hebt gehad in Praag! Such a great place to travel! Hope to come there soon. Thanks for sharing ♥️ ♥️ By any chance you are interested on doing collaborations, you can check out the collaborations portal of Phlanx.com and connect with amazing brands! Budapest is for sure worth visiting!